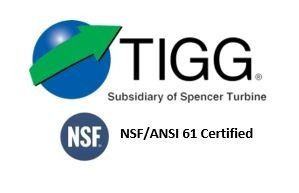 TIGG prides itself on manufacturing quality ASME code steel tanks and pressure vessels. From our corporate headquarters in Oakdale, Pennsylvania, to our production facility in Heber Springs, Arkansas, TIGG employees adhere to a code of professionalism which is embodied by the company’s Core Values. TIGG’s workforce is comprised of skilled craftsmen, experienced engineers, and a knowledgeable technical sales force. TIGG is an equality opportunity employer and has been recognized as one of the area’s best places to work. Are you ready to add your skills to our team? TIGG is currently hiring for the positions listed below. Please e-mail your resume/work experience to sales@TIGG.com with “Career Opportunities” in the subject line.